A viewer of our site recently contacted us regarding the brass plaque they had acquired, and wondered if we would like it. Our archive is purely of photographs, memories and opinions. 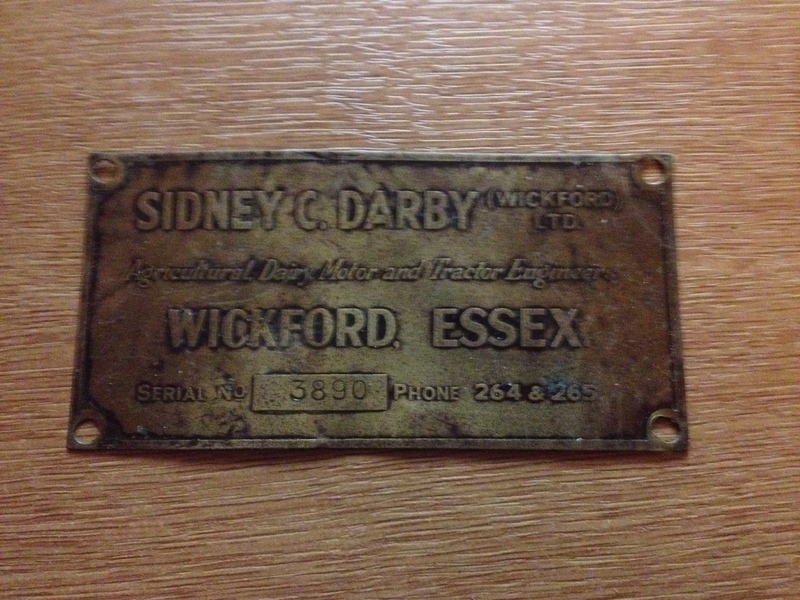 However, many of us do have items relating to Wickford from Bronze age pottery to parts from WW2 ordinance. Unfortunately there is no local museum where such artefacts can be displayed. It wont be going to Basildon apart from the occasional loan. If you want to see some of the Historic and Archaeological items AS WELL AS photographs and documents that we have available for display we will be having another exhibition at the Christchurch Main Hall on Saturday 11 October 2014 between 1000-1600. The theme this time will be War Time Wickford. If ANYONE HAS ANY ITEMS AVAILABLE FOR DISPLAY IN WICKFORD PLEASE CONTACT US BEFOREHAND. WE COULD FIND SPACE INSIDE OR OUT FOR LARGER ITEMS. Whilst it’s nice seeing our history preserved I haven’t spent the best years of my life preserving history to be displayed in Basildon…..and whilst Basildon claims Wickford and Billericay as part of its Borough a lot of Wickford people resent it….Wickford and Billericay were old established villages, Wickford is mentioned in the Doomsday Book as an Agricultural Village. If Wickford history is to be preserved then it should be preserved here in Wickford, where it originated from……I for one would never allow anything of mine to go to Basildon….. Wickford is a fast growing community and is big enough in its own right to have areas that are dedicated to preserving its own past…..just as Billericay Wickford rate payers contribute a great deal to Basildon’s Caring Council……..we deserve such places as our own heritage centre, somewhere where the Wickford a Archive a Group could set up a permanent home instead of a doorway in Wickford Library. We have a fantastic War Memorial and Park that was inspired by local man Steve Newman and a dedicated group of supporters. All we hear is let’s preserve it for future generations, give our children the opportunity of learning about the past and where they come from etc. Well why can’t we have such a place here in Wickford ?……there are still grey areas in this villages/ towns history that are unknown of or unmarked ….and that’s a travesty …. Basildon Heritage is a local History Group whose interests cover the whole of the Basildon Borough. We have a glass case where we can exhibit small items like this at The Green Centre, Wat Tyler Park, and we would welcome this little bit of Wickford History. We have a web-site with contact numbers.